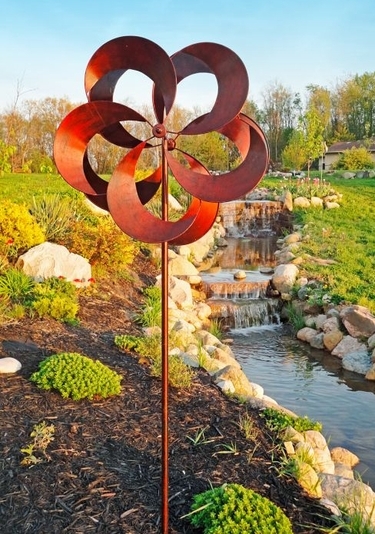 This lovely wind spinner features all metal construction, dual spinning motion, sealed bearings, multi-pronged mounting stake, and a beautiful powdercoat finish for extra durability. It's absolutely gorgeous and you'll love it! Watch Video of this New Spinner ~ Wow!